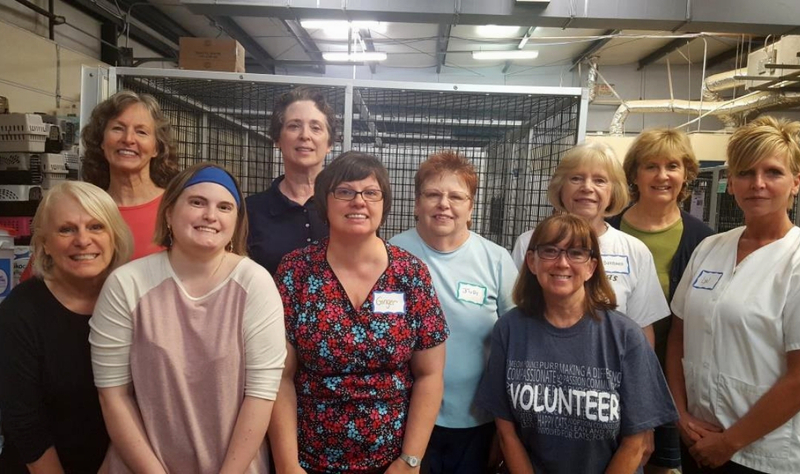 All of our SAFE Haven alumni are winners, but here’s a winning story perfect for March Madness. 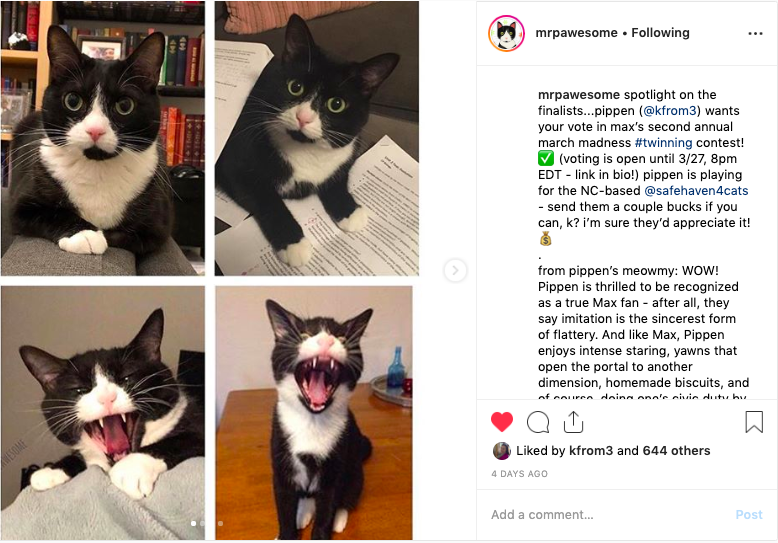 Pippen, a 3-year-old Tuxedo cat adopted by Kathryn Fromson, was named the winner of a bracket-style contest to find a twin for Instagram cat Max (@mrpawsome). The contest, Max’s Annual #Twinning Tournament, doesn’t just give Pippen bragging rights. 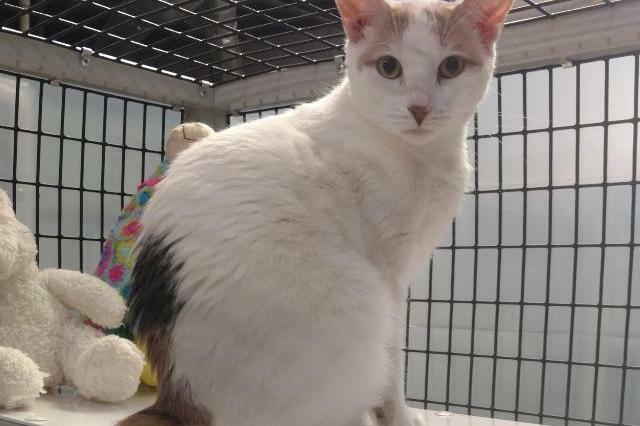 Pippen got a gift crate of cat goodies from KitNip Box, and SAFE Haven got a prize too – donations from our Amazon wishlist courtesy of the contest owner @MrPawesome! 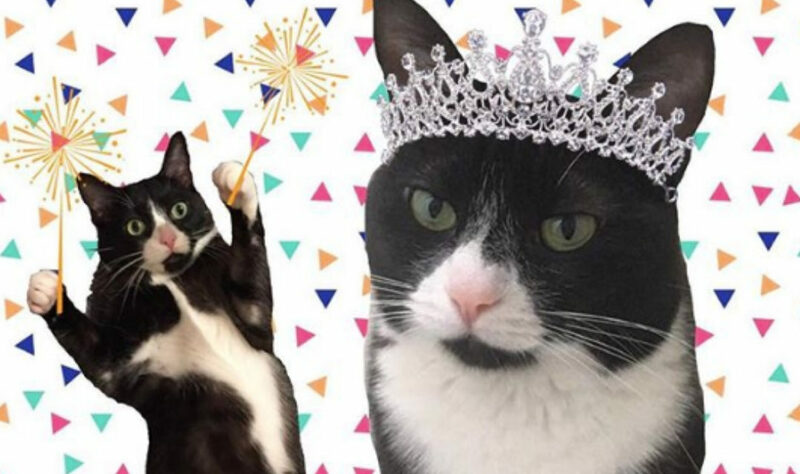 In its second year, the contest is inspired by the rescue cat named Max that the account is dedicated to. 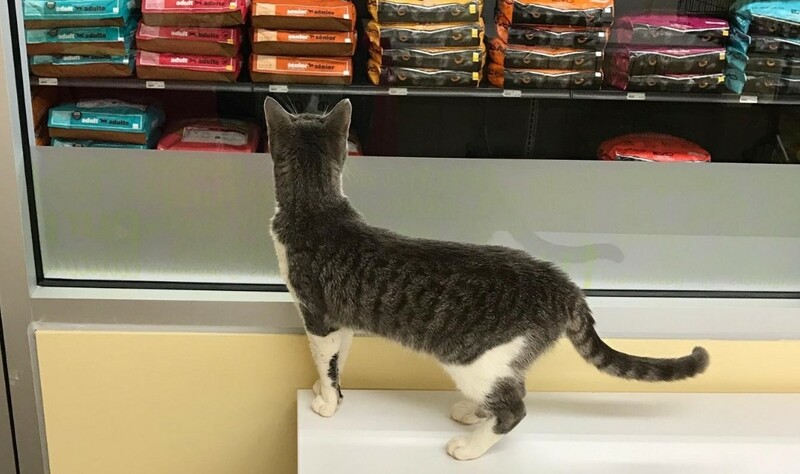 The owner says that Max, who recently celebrated his 6th adopt-a-versary, helped them heal from the difficult and sudden loss of their cat Max. 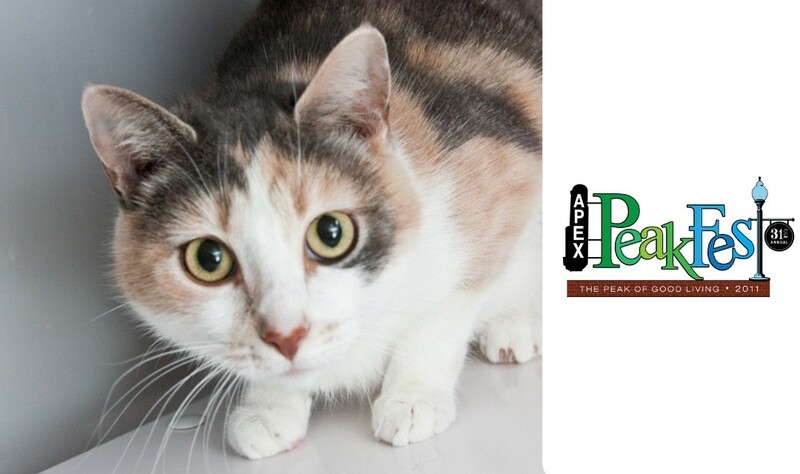 The contest also brings attention to cat rescues and the work they do. Thank you to Max and family for the amazing donation and congratulations to Pippen for being a great lookalike for Max! The side-by-side photo comparison. Can you tell the difference between the two?